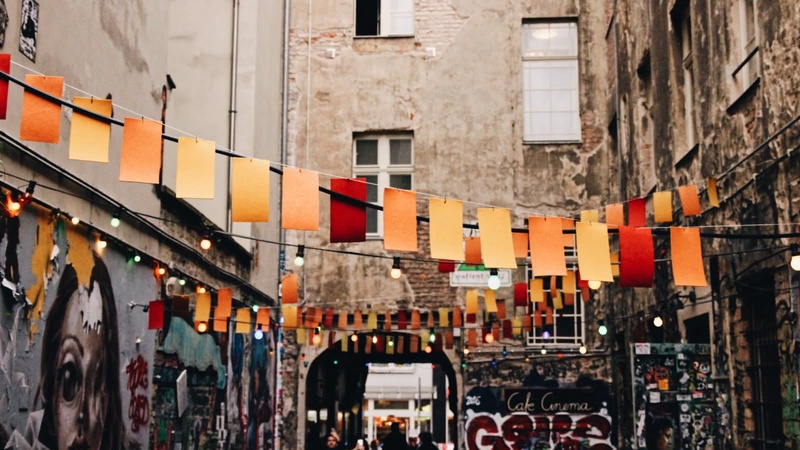 While Berlin's history with the Third Reich and the Cold War are important parts of its story, Berlin today is home incredible street art, a world-famous club scene and an irrepressible underground culture. 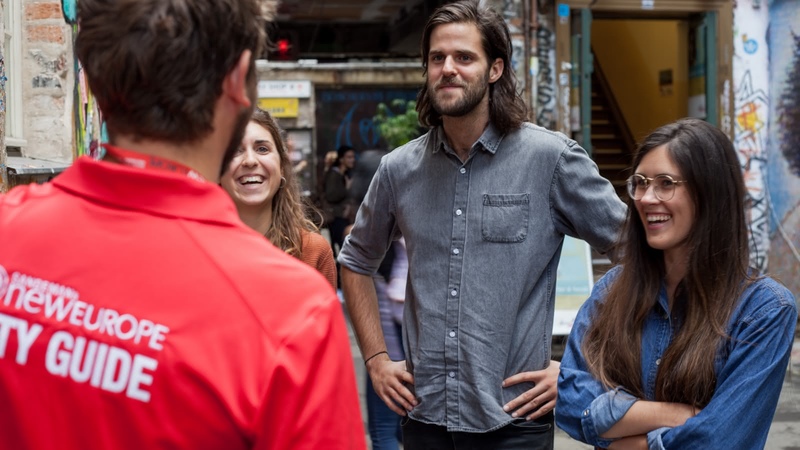 Come and see the modern Berlin that the locals love on this 3.5-hour walking tour. Your Alternative Culture and Street Art Tour meets in front of the Starbucks at the Brandenburg Gate (S/U-Bahn Brandenburger Tor). 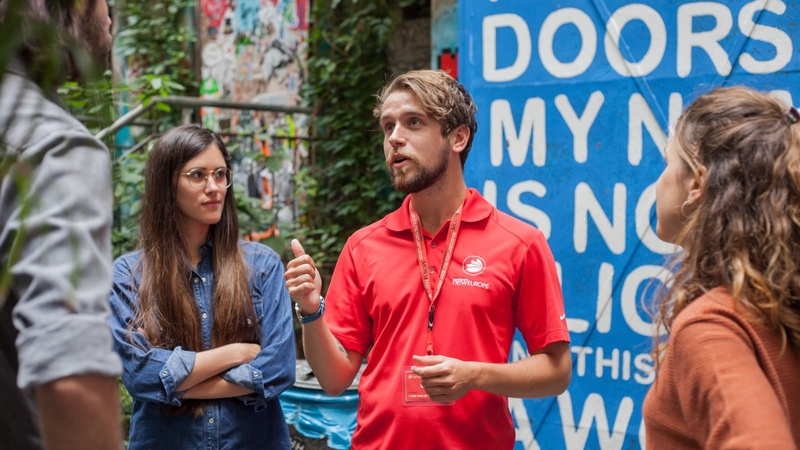 On this 3.5-hour tour, your expert local guide will tell you the story of Berlin today. Starting at the iconic Brandenburg Gate, your guide will immediately take you on the train to see parts of Berlin that are outside of the shiny city center. 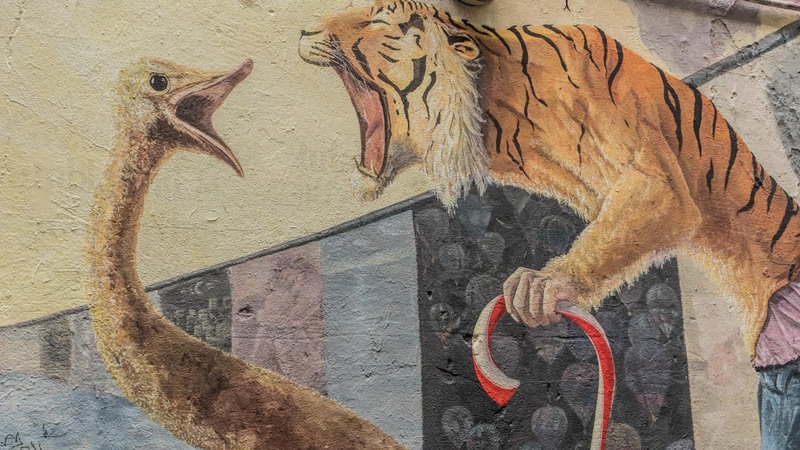 You will need to keep your eyes peeled, as Berlin's art scene can be discovered not only on the walls of buildings and in the boutique galleries you'll stroll past, but also down in the pavements and up on rooftops. 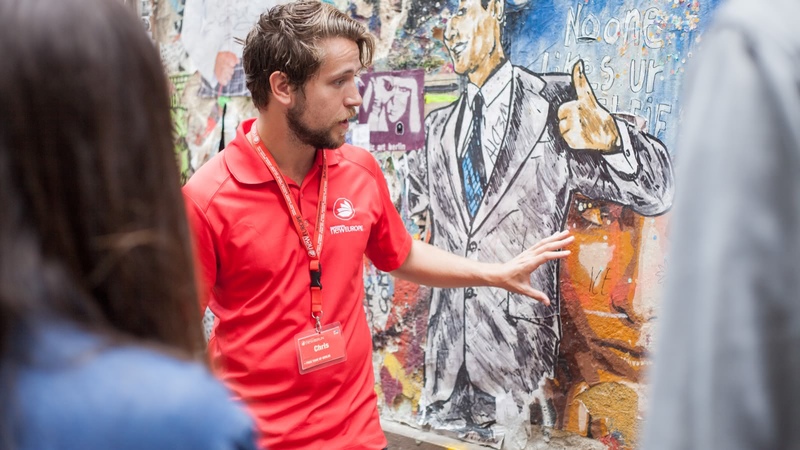 Your guide will introduce you to the different kinds of street art (paste-ups, stencils etcetera) and to some of Berlin's best-known street artists, as well as taking you along Berlin's most beloved (and largest) piece of street art, the East Side Gallery. However, this isn't simply a street art tour, as Berlin's underground scene has much more to it than that. 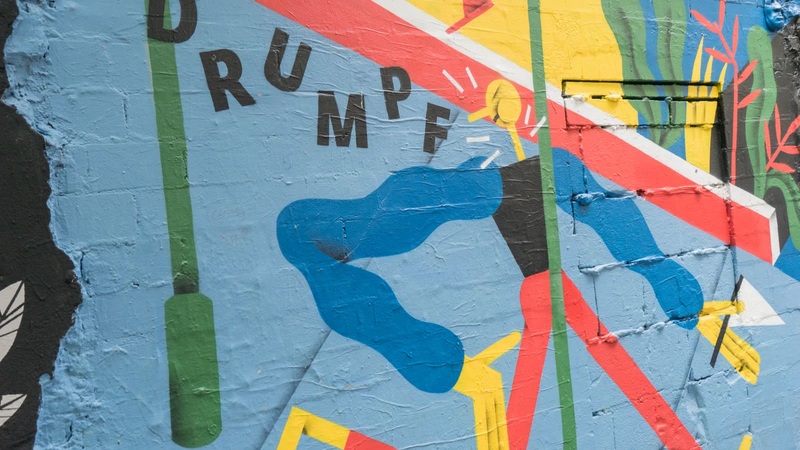 You'll also hear about the countless protests, demos and counter-demos that take place in the city, and about how the locals rebel against gentrification, as well as being taken past some of Berlin's best-known and longest standing squats. You'll hear about how the fall of the Berlin Wall gave rise to Berlin's unique alternative scene, and which clubs have given Berlin the title of best nightlife in the world. 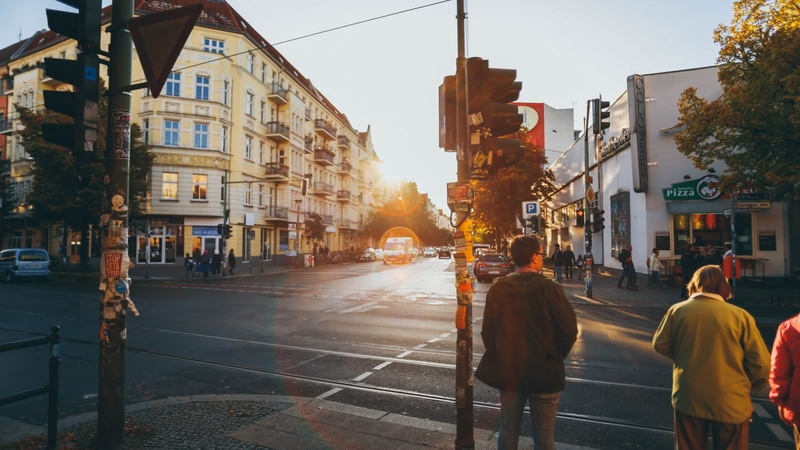 Finally, your local guide will be happy to share with you their tips for authentic Berlin - including where to go out, which areas of the city to explore, and which tourist traps to avoid. Sarah (from Sydney) was my fantastic guide on this alternative tour exploring Berlin’s street art and alternative culture. 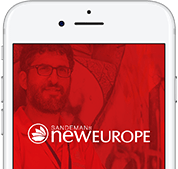 I initially had my reservations about using what seemed to be quite a large tour company but any preconceptions about the tour being impersonal or soulless were quickly blown away. Sarah clearly knew her stuff, and not in a memorised script kind of way. Her personal experience of the creative industries was evident and she held the group’s attention throughout. This wasn’t a history lecture - there was some content on Berlin’s unique past but just enough to give context to the body of the tour. We used a little public transport to take us away from Brandenburg and explored some lesser-visited areas like Kreuzberg. We saw loads of murals and were given information that would be otherwise difficult to unearth. We were given a real insight into Berlin’s independent spirit. Had a really nice time with the excellent and knowledgeable Leen. 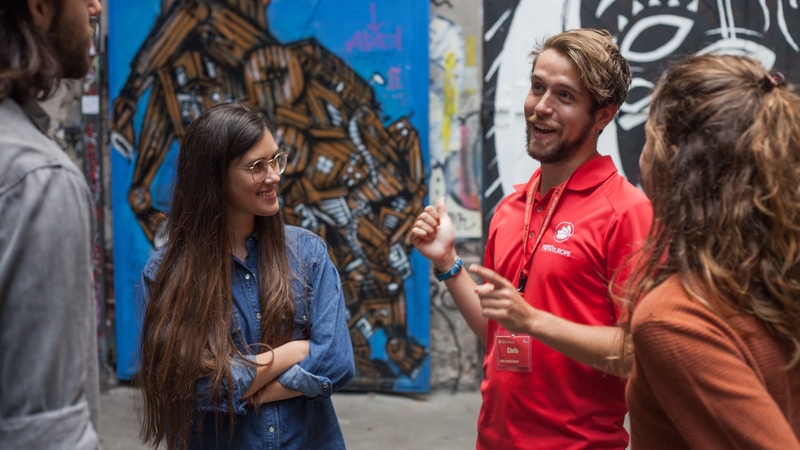 We highly recommend the tour for anyone that would like to get a glimpse into Berlin's counter culture, underground scenes and alternative communities. Leen was very nice and easy going and was happy to share her knowledge from years of living as a local in the city. Only wish we had done this on our first day as we discovered so many cool places we would have loved to spend more time at. 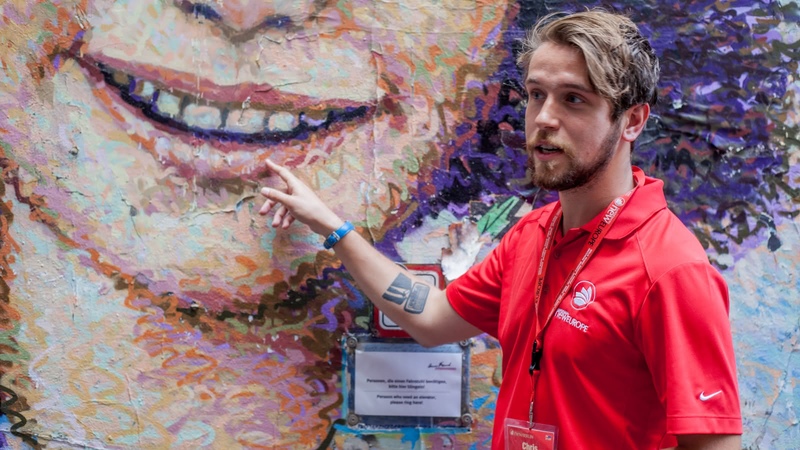 Kyle was an an absolutely wonderful tour guide and the tour gave us a wonderful insight into Berlin's street art projects and alternative living situations. Highly recommended! Max did a great job both showing the group interesting artwork across the city as well as explaining the context behind the art. Highly recommended - gives you a great insight into a fascinating city. 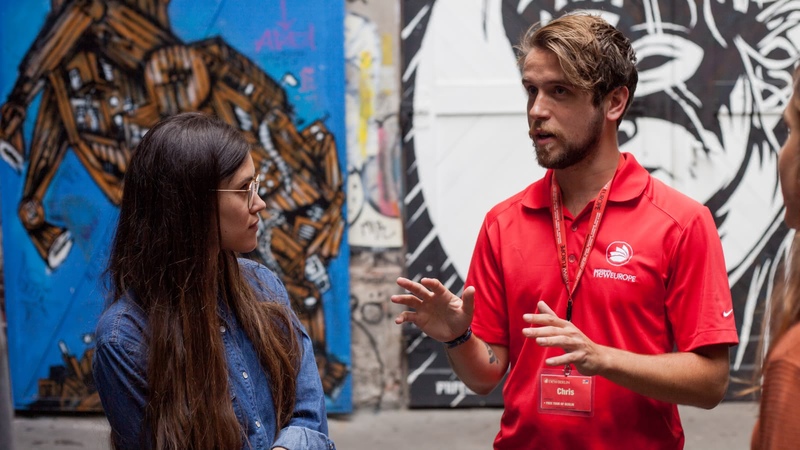 We went on one of the paid tours (alternative Berlin) and found out about the free tour from there. Our guide, Theo, was brilliant. I learnt more from the 3 hours with him than I'd expected, plus he made it a riveting experience (the Michael Jackson insight was a great way to get started!!). He evidently knows his history and loves his job. You didn't feel like you were getting a rehearsed script but rather a very natural interaction. This is a truly excellent tour, but I'd also recommend the others too as they are great value for money. Leo was our guide for this great tour of street art and modern day Berlin. I really enjoyed the afternoon, Leo was funny friendly knowledgeable and passionate about the subject. Some great sights and great to explore parts of Berlin that we wouldn’t have known.